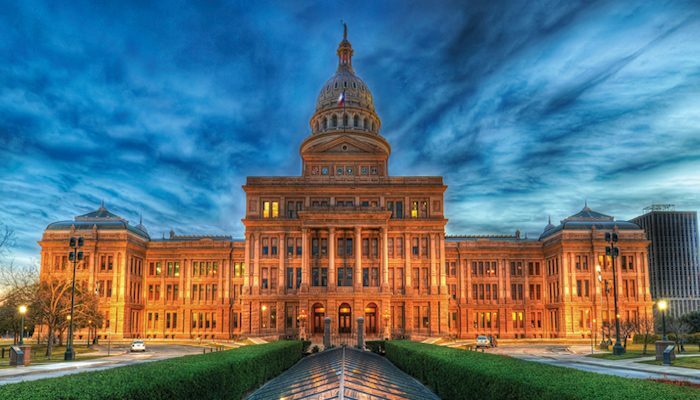 If you’re staying at one of the downtown hotels, a great way to get a sense of Austin is to combine a run though downtown, up wide Congress St. to the state Capitol (one of the most impressive in the country), and then a jaunt over to the University of Texas. The run north along Congress affords views of the Capitol the whole way. It’s especially pretty at night! To continue, catch Congress St. at the back of the building. After a couple of long blocks, enter the UT campus and just continue straight, for 1+ miles, along the main campus pedestrian way called the Speedway. Good options to see the Johnson Library and other campus buildings by heading east on the roads/paths — but the distances can be significant! For the return, pass by the Governor’s Mansion on Colorado St., and then head back downtown, using Colorado St. or other streets paralleling Congress St.
Mexic-Arte Museum, near Omni Hotel -- or anywhere along Congress St.